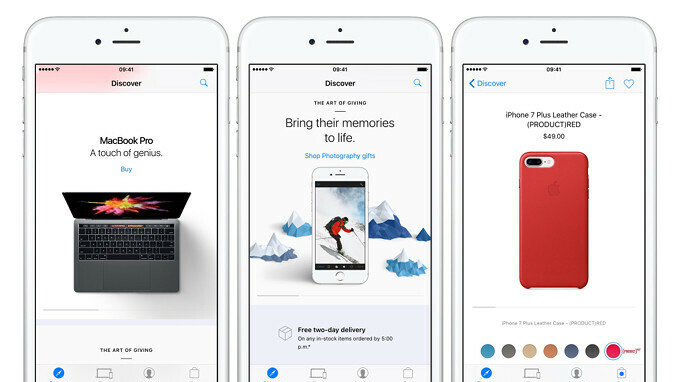 Apple has just updated the app that lets iOS users interact with its online store. Since this is a major release, Apple tagged it version 5.0, so here is what you'll get with the latest update. First off, the new version of Apple Store is meant to turn the app into a more personal and relevant experience for iOS users who like to shop directly from their handsets. In order for that to happen, the application gained a couple of improvements like product and session recommendations, as well as the options to see Favorites in stock, and scan and buy accessories right from the iPhone. Furthermore, the Session tab now allows users to find daily sessions on various subjects like music, photography, and more. Additionally, you'll be able to choose a session based on products that you already own. For those who purchase via Apple Store, the app will offer them the option to manager order in multiple ways. On top of that, you can view invoices, edit shipping details, as well engraving messages or cancel an individual item in your order. Finally, the update makes it much easier to see your savings that come with buying refurbished products, so you won't make any mistakes while you're shopping. Can I finally compare devices without being redirected to safari?